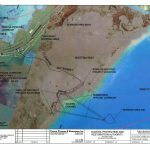 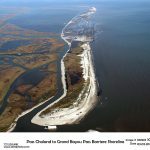 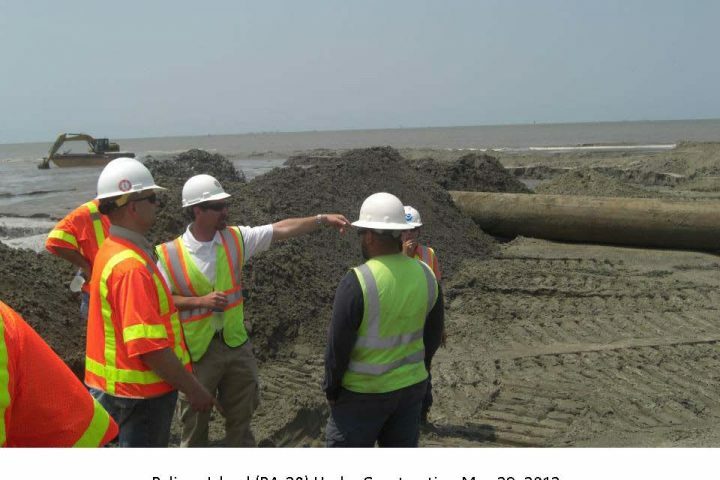 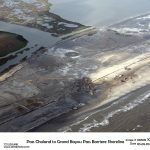 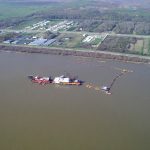 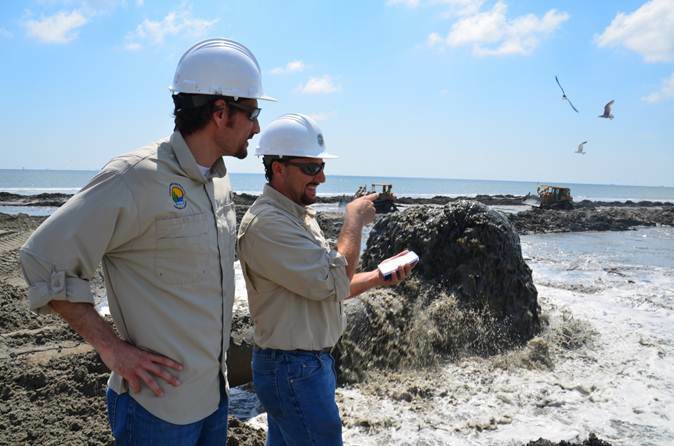 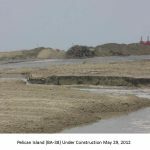 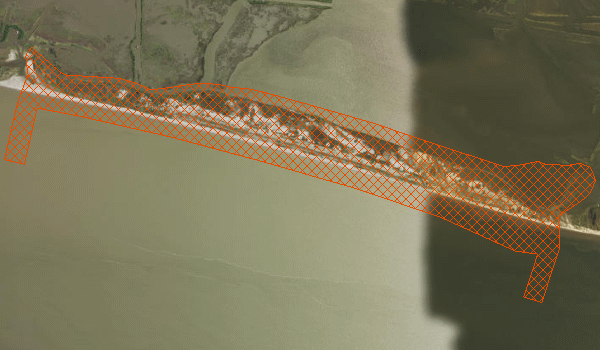 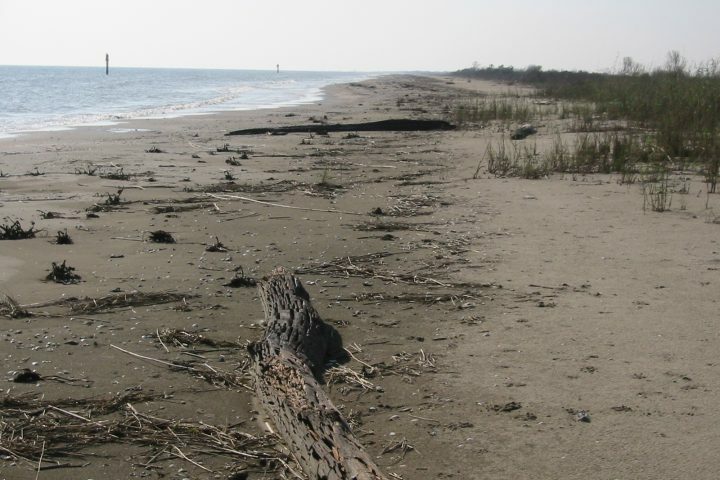 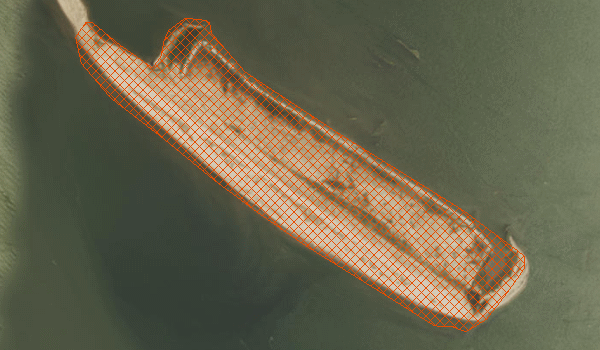 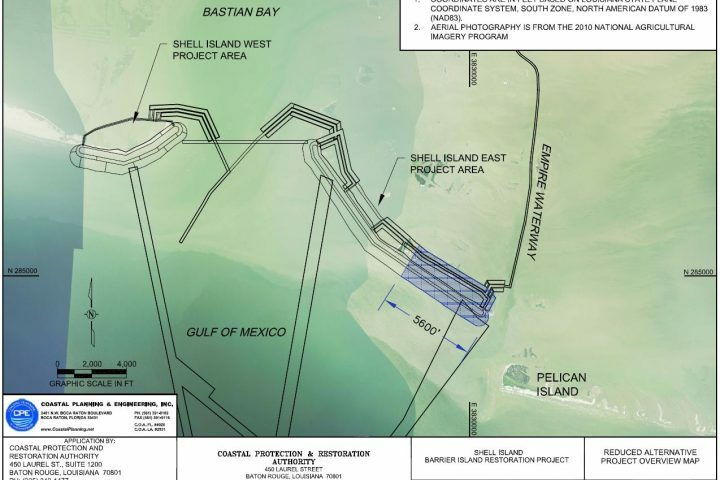 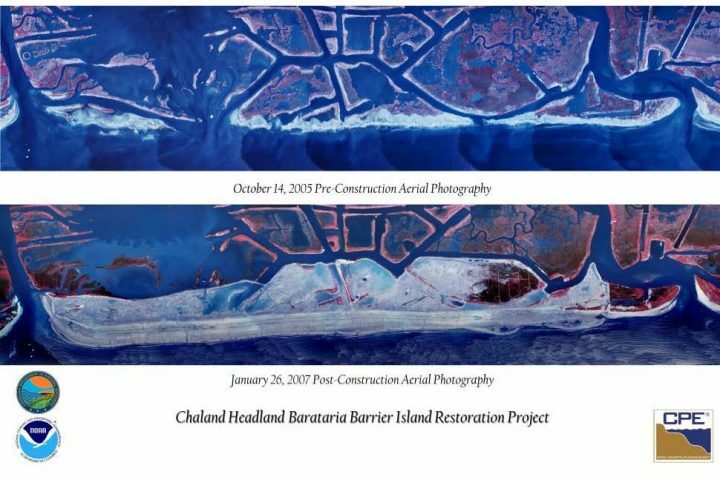 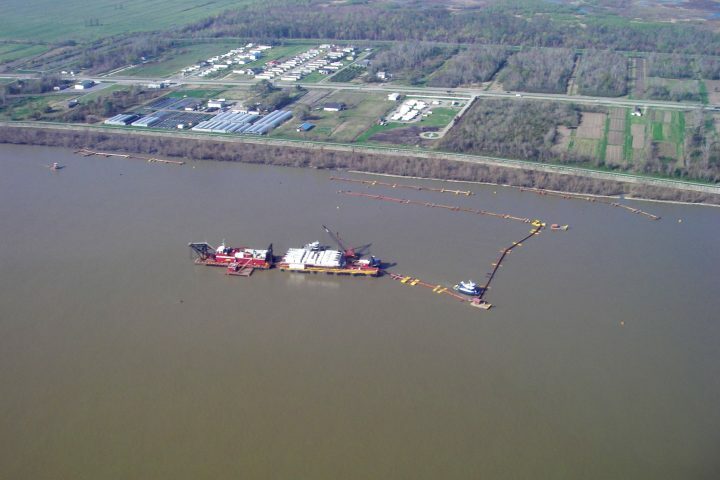 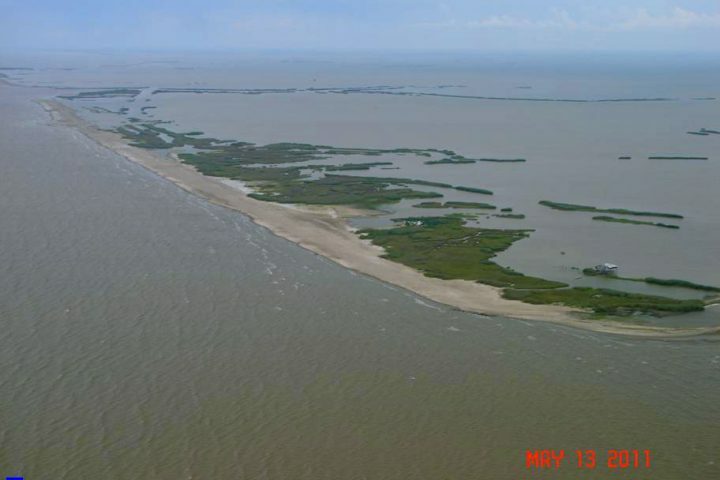 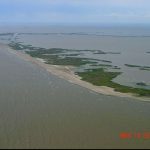 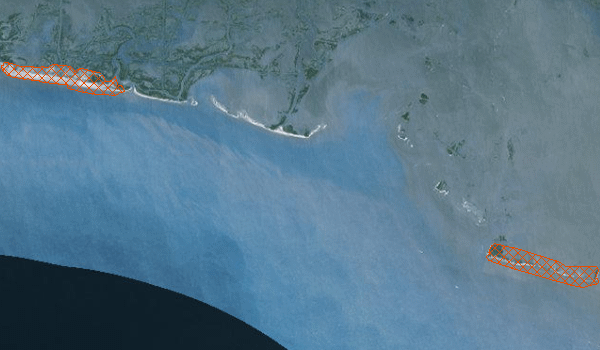 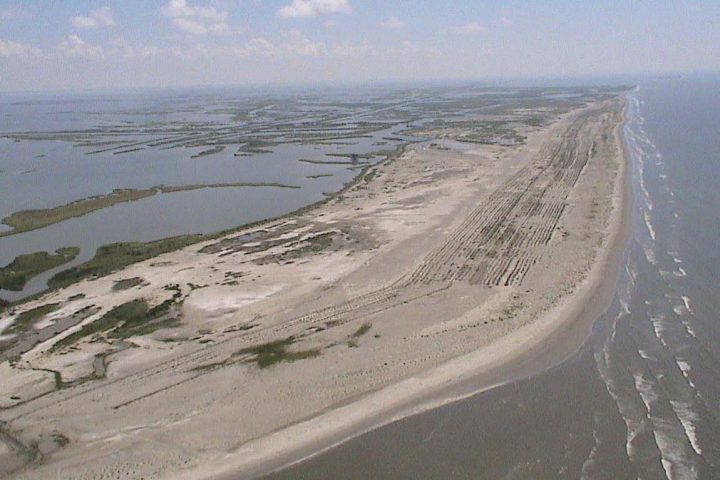 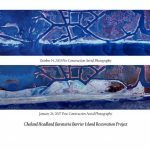 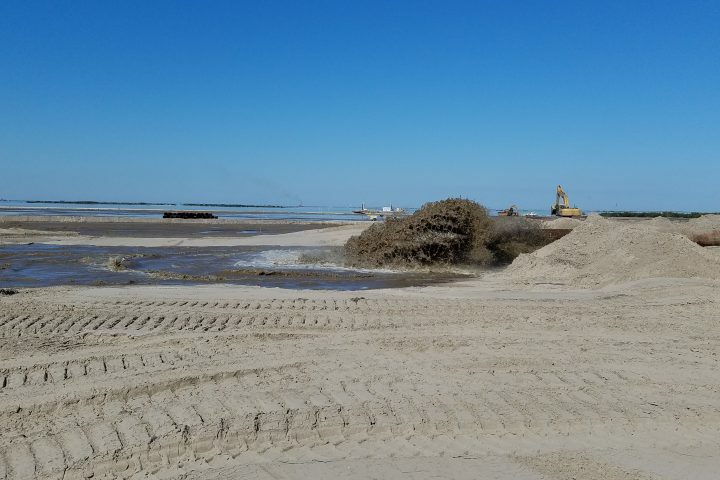 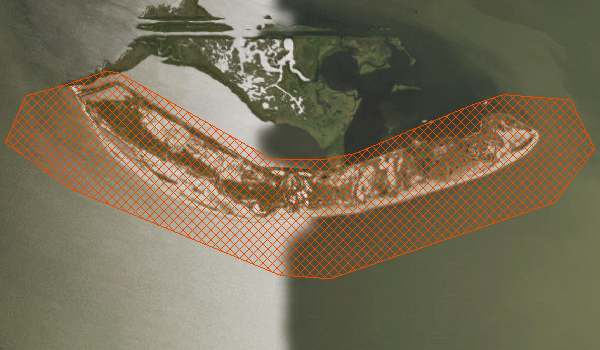 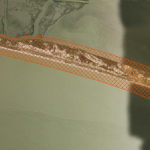 This barrier island restoration project is located on the southeast side of Barataria Bay and stretches from Barataria Pass to Sandy Point. 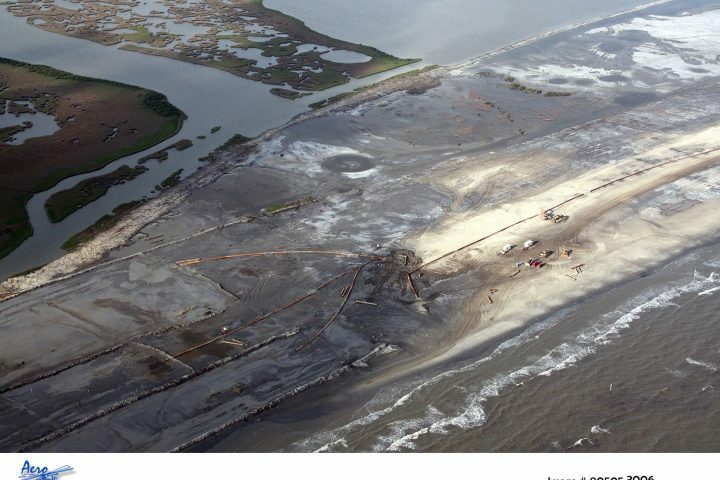 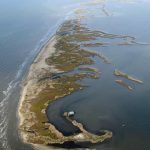 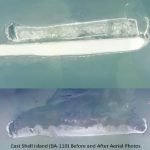 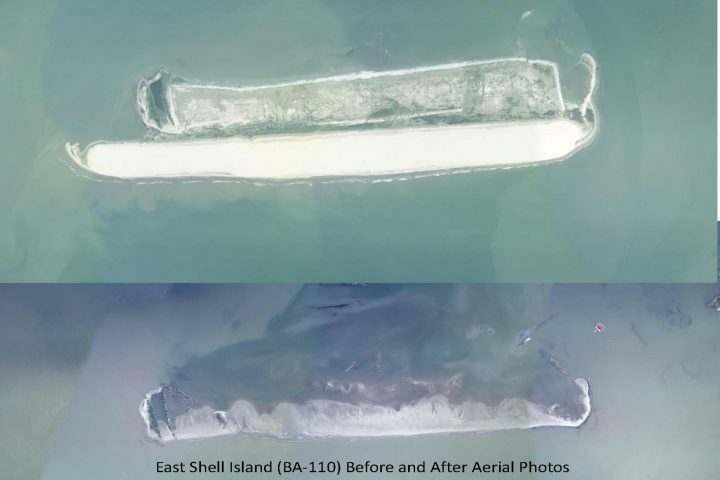 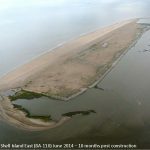 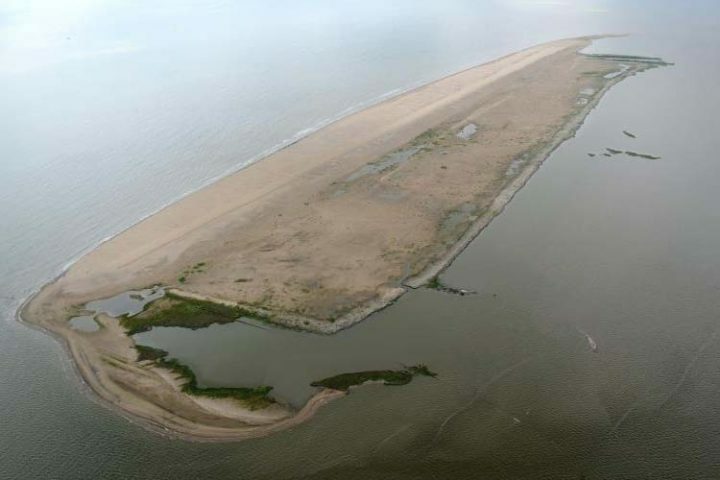 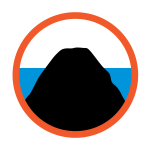 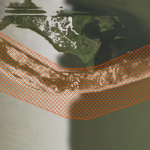 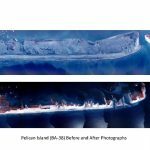 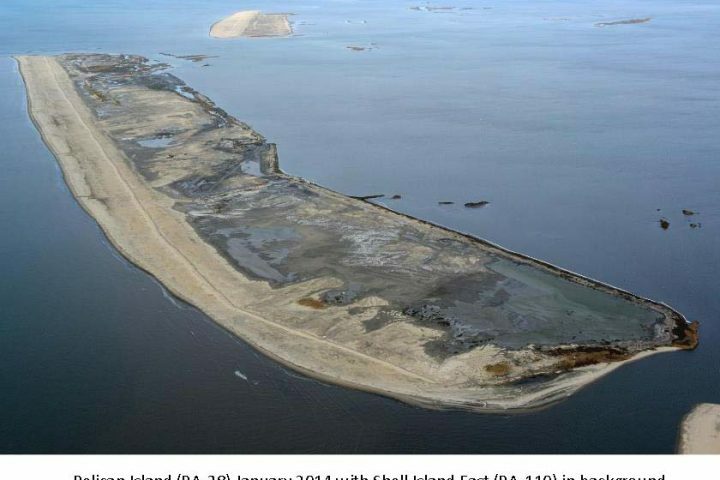 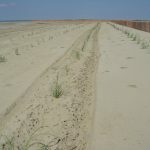 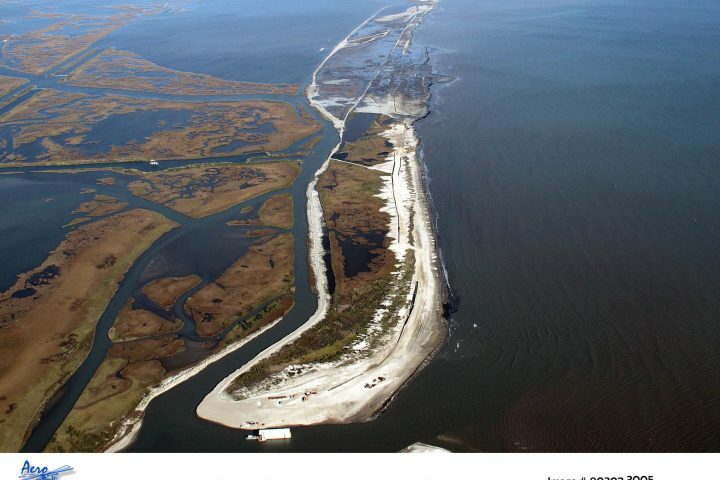 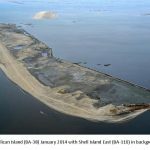 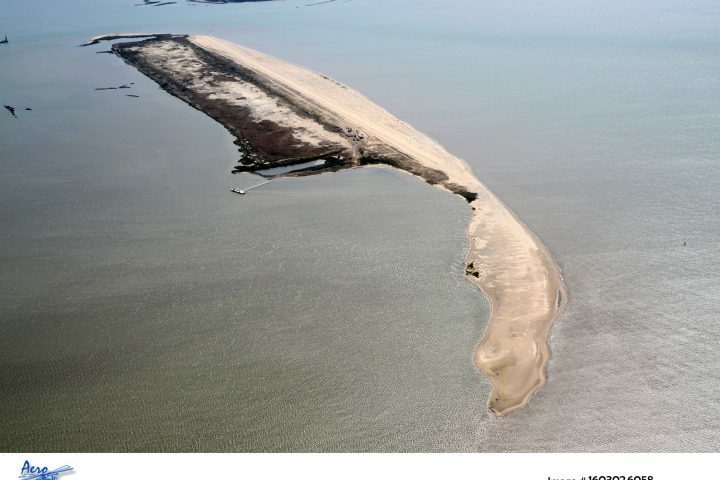 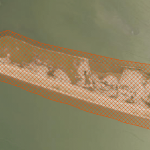 Increasing tidal forces caused by ever-growing interior bays, canals, navigation channels, subsidence, wave action and sea level rise have all attributed to the erosion and retreat of these barrier islands. 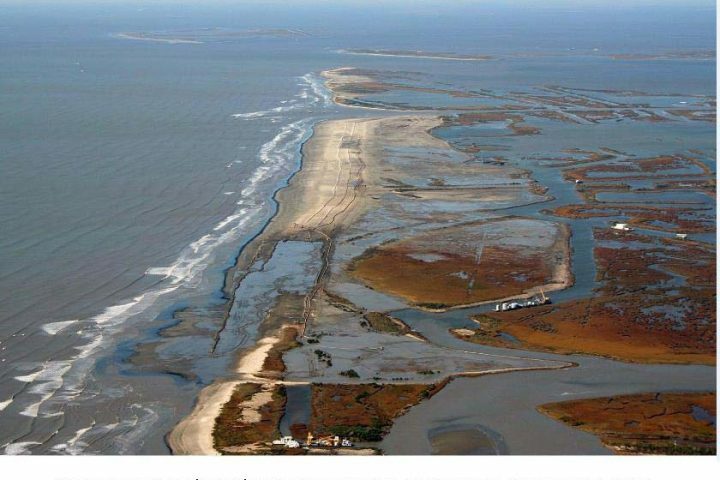 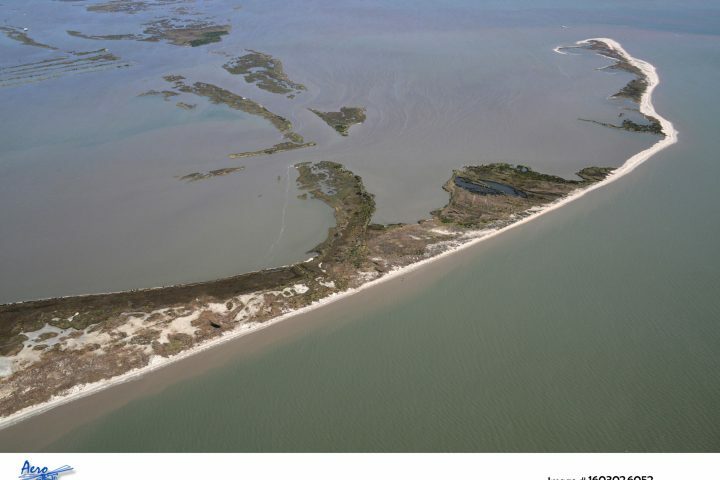 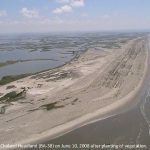 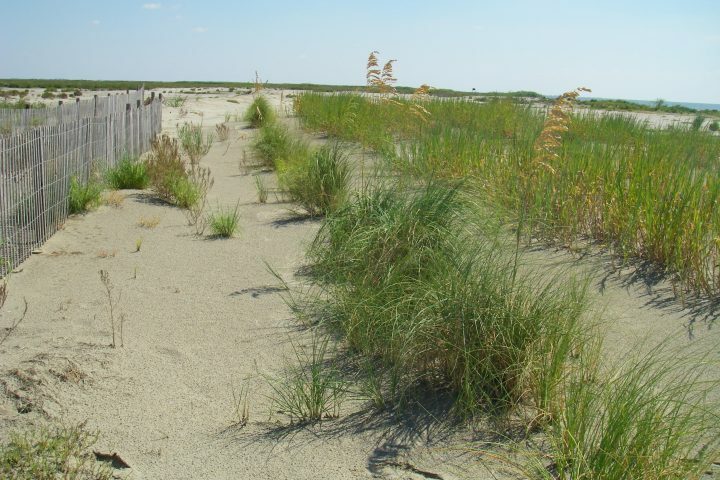 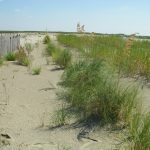 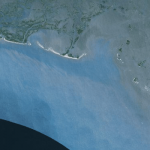 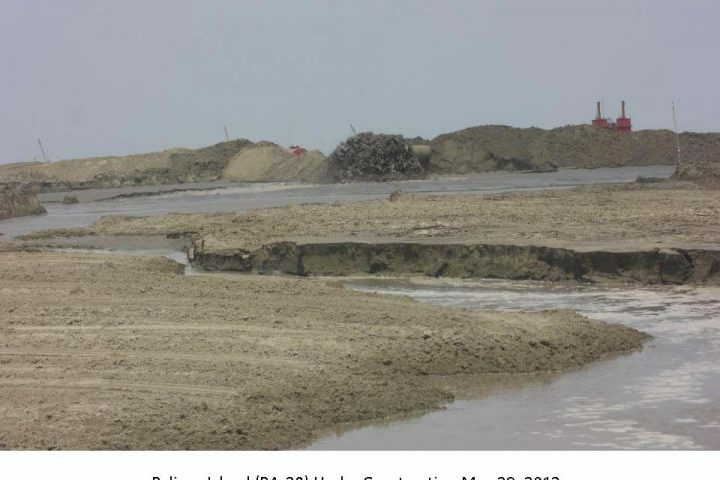 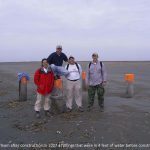 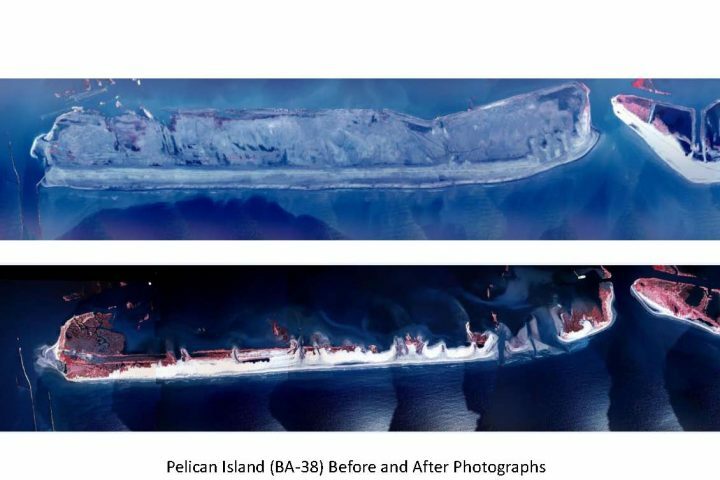 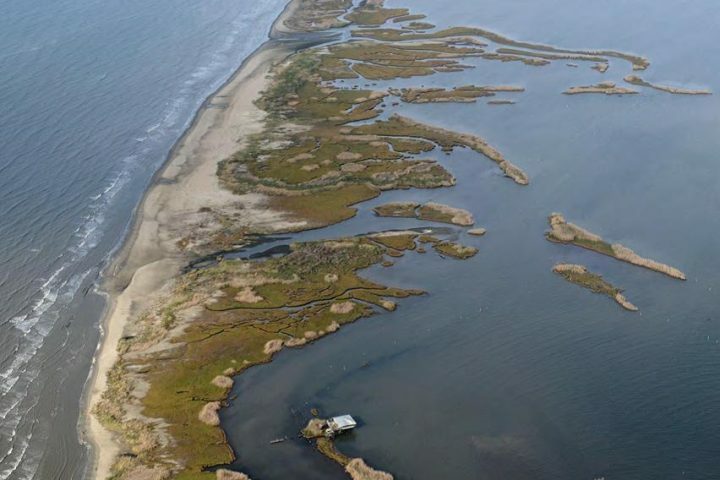 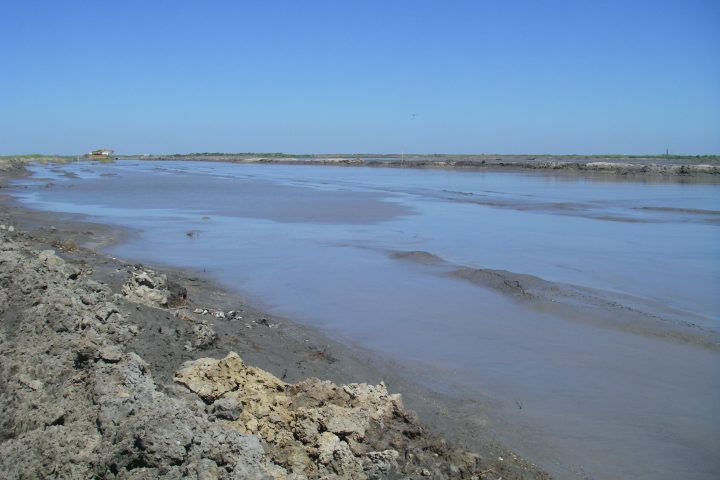 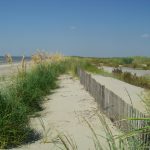 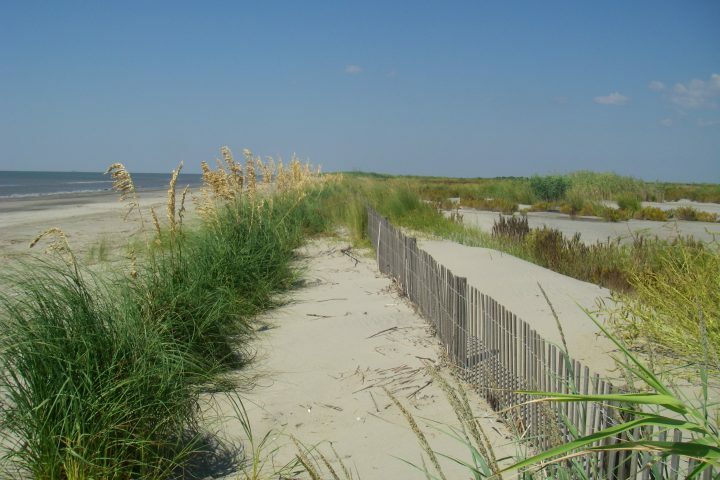 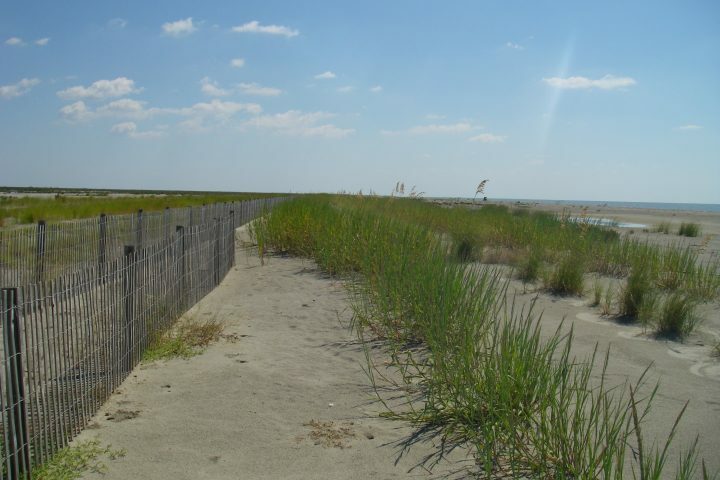 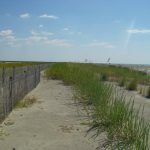 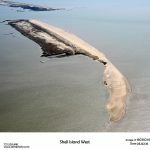 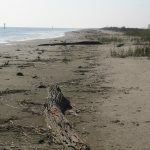 This has resulted in loss of barrier island habitat, exposed interior bay marshes to increases in salinity and wave action and increased the vulnerability of the entire interior of the basin to storm impacts. 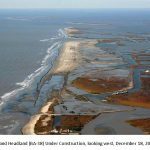 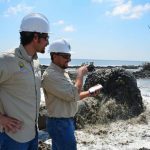 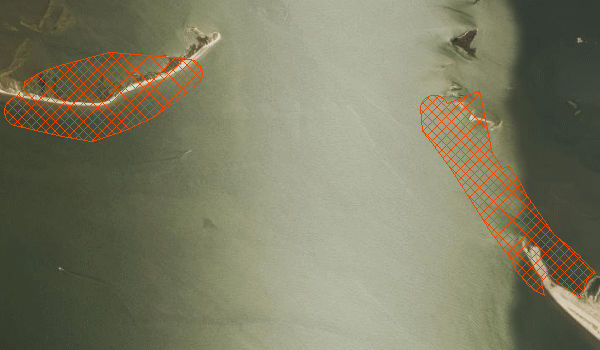 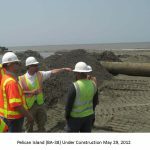 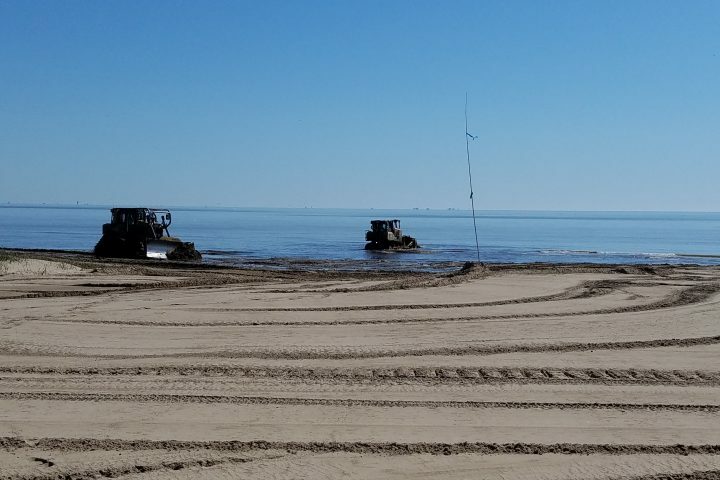 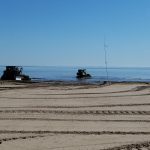 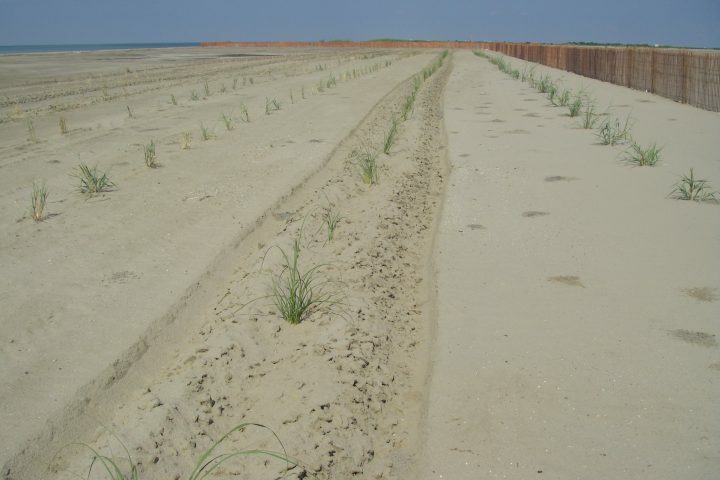 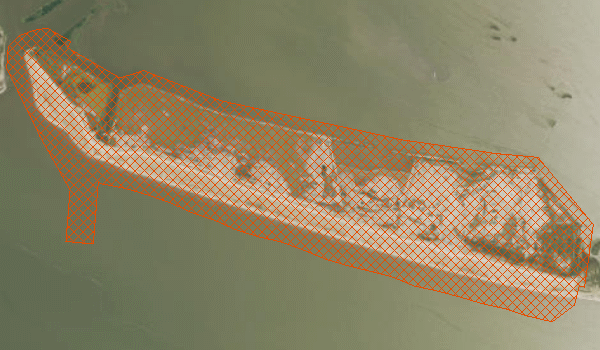 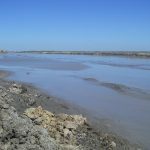 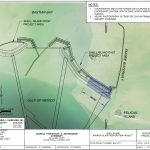 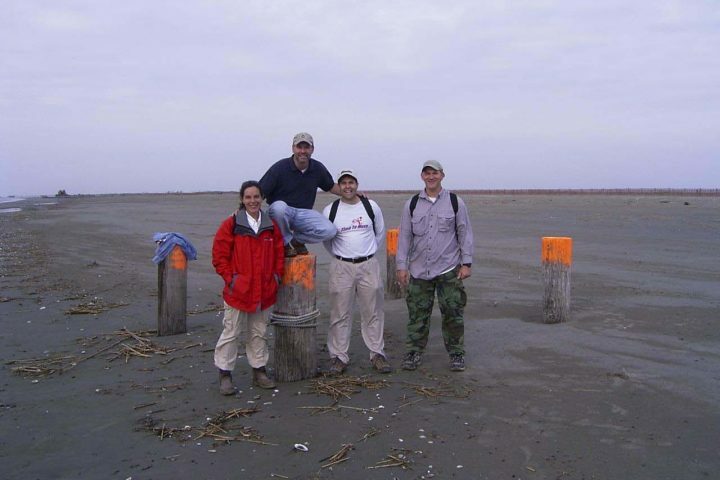 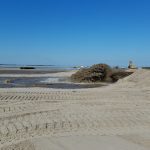 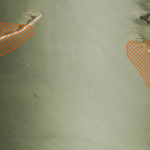 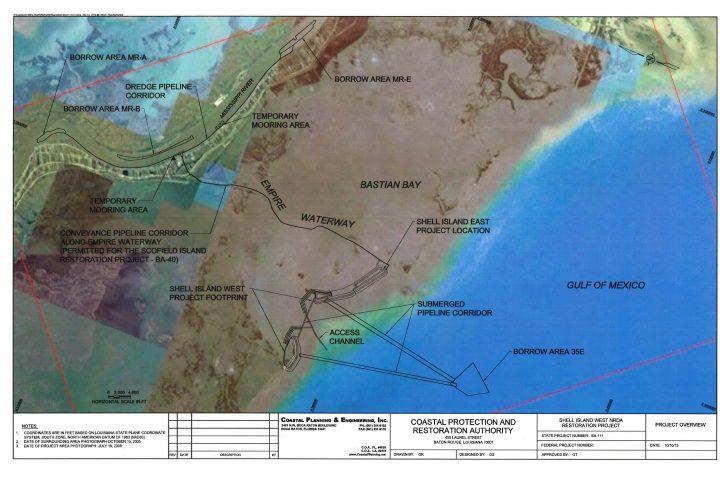 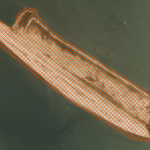 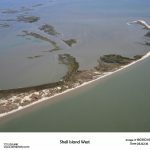 This project will use sediment to restore important migratory and shore bird habitat and improve the ecosystem function of the barrier island system, preventing the wholesale loss of the lower estuary.